What If Your Flash Drive Says "This Is Not a Bootable Disk"? Why Can't I Eject My USB? Your thumbdrive may be failing if the light does not come on. If you connect your flash drive to a USB port on your computer and the light on the drive fails to illuminate, this means that the USB drive is not receiving power. The problem can be caused by a few different issues. Note that you cannot use a flash drive formatted on a Mac for a PC, or vice versa. 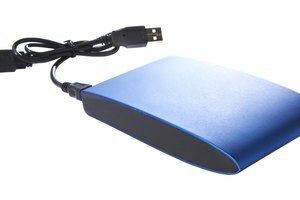 Make sure that your drive is formatted for use with your operating system. One of the most common reasons flash drives fail is the connector that slides into the USB port on the computer becomes bent and fails to properly connect to the USB port. Sometimes, you can gently bend the blade back into place, then continue to use the drive for a while longer. However, be mindful that the drive will probably fail soon. 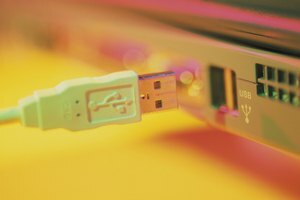 If you installed a software application or device since the last time you connected the flash drive to your computer, the drivers for the USB port may have been overwritten or corrupted. Try reinstalling the USB port drivers in the Windows Device Manager, then plug in the flash drive to see if power is restored to the drive. Occasionally, USB ports on your computer or laptop will fail. 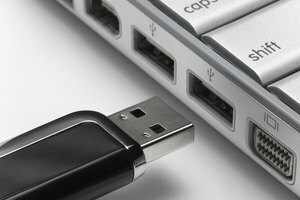 Try connecting the USB drive to another port on the same computer, or on another machine. If the light still does not come on, the problem is likely with the drive itself. If you deduce that the problem is with the drive, attempt to connect the drive and back up all of your data immediately. You may need to jiggle the drive while it is in the USB port to complete the connection if the drive connector is loose or bent. 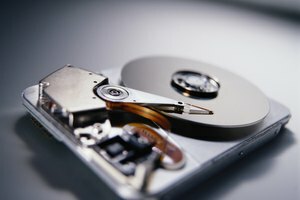 If you connect the drive, but your computer does not recognize the device, consult with a data recovery service or try a data recovery application to recover your data. Why Isn't My Kindle Fire HD Turning On? Blackburn, Randall. "What to Do When a Flash Drive Light Doesn't Come On." Synonym, https://classroom.synonym.com/flash-drive-light-doesnt-come-22748.html. Accessed 21 April 2019. How to Know if a USB Printer Cable Is Working Correctly?